As a predominately centric heating and ventilation manufacturer, Cambridge Engineering determined we needed to broaden our product lines to better service our customers’ desire for improved year-round indoor air quality. 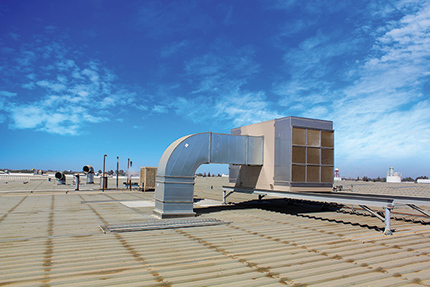 In May of this year, we purchased the Spec-Air and Ares companies to add evaporative cooling technologies to our heating and ventilation product lines. The purchase allows us to better serve our customers in the hot, arid western half of the United States, but will also give us the ability to provide evaporative cooling solutions to our customers across North America. This acquisition has provided us with proven evaporative cooling technologies that will be manufactured at our plant in St. Louis, MO. As we integrate these new products into our existing lines of heating products (S-Series – High Temperature Heating and Ventilation – HTHV), and our make-up air products (M-Series – MAU), we plan to launch the new E-Series and ESC-Series evaporative cooling products into the market later this year. The new E-Series product line will be a direct evaporative only cooling unit. We will offer 10 different models that will have a range of outputs from 10,000 CFM to 80,000 CFM. The line will offer both roof top or pad mount, several filter options, discharge options, voltage options as well as many other options to meet our customers’ needs. The new semi-custom ESC-Series product line will utilize indirect, direct or two stage evaporative cooling technologies with options to add energy recovery, gas heating, hot water heating, or DC cooling. We will offer 14 different models that will have a range of outputs from 2,450 CFM to 58,800 CFM. The line will be available as both a roof top or a pad mount installation, and have several filter options, discharge options, voltage options, mixing box options as well as many other options to meet our customers’ needs. In conducting our due diligence, we wanted to understand the market potential for evaporative cooling. Through our research, we determined that the North American evaporative cooling market had total commercial and industrial sales of $1.41 billion in 2017 and is expected to reach $1.74 billion by 2023. The direct cooling segment dominated the market with a 52% share in 2017, followed by the indirect and two stage segments, which accounted for shares of 33% and 15%, respectively. The commercial and industrial application (Cambridge Engineering’s two core building segments) of evaporative cooling accounted for a maximum share of 48%, by generating a revenue of $0.67 billion in 2017. Because of this, we believe that there is tremendous potential in the marketplace for our new E-Series and ESC-Series products. Cambridge Engineering is an active member of the DOE’s Better Buildings Alliance, an initiative of manufacturers and businesses dedicated to reducing energy consumption in commercial spaces by a minimum of 20% by the year 2020. Our focus is to help leaders create better working environments for their hard-working people. 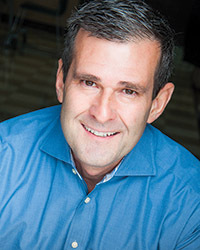 Randy Niederer is marketing director at Cambridge Engineering, St. Louis, MO.